Ok, this title sounds kind of strange coming from a Genealogist. It does make you wonder what kind of dreams do people in this profession have and why would they write a blog about it? Actually, this blog is about a dream that I would love to have come true! A couple of weeks ago I was walking through the cemetery where my grandson is buried. We live close by, so quite often I walk over, and I spend time looking at the headstones and the flowers left by loved ones. I find it peaceful and it gives me a chance to just think. This cemetery was built-in 1883, a youngster compared to other parts of the country. 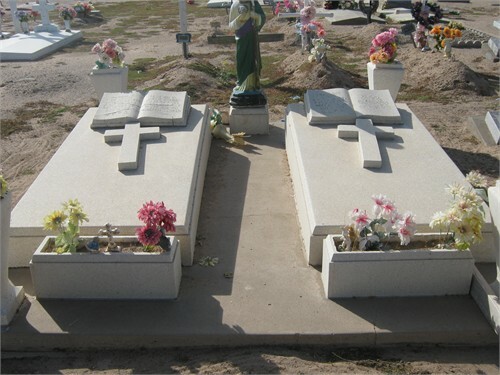 There are many types of headstones of various shapes and sizes. I sometimes contemplate as to why the family chose this particular one. I may be odd, but these things fascinate me. I came across a headstone and thought “If only I could find one like this in my family!”. I have been cross-country, visiting the cemeteries of my ancestors and taking photos. They usually look like the one I posted here. This is my Grandma Smiths stone. It is very plain and has just the basic information on it. Name, Date of Birth and Death and the word “Mother” on it. Don’t get me wrong I was thrilled to find it in a little graveyard in Buckner Missouri. But it was nothing like the one I just found. Let me introduce you to Rosalie Nichols Woods. In this one headstone, I was able to garner quite a bit about her and her family. First, her maiden name was Nichols. Second. Her husbands’ name was Murray Edwin. Third, since there is no death date on Murray’s’ side, I assume he is still alive. Fourth, the date they got married, June 6, 1947, is included on the front as well as the normal dates of birth and death. This gave me a small look into their lives. I walked on by and I happened to look behind me and there it was….my dream. On the backside of the stone was listed the names of their 6 children and their spouses! 3 boys and 3 girls. What a nice, big family they had. I then started thinking of all my deceased ancestors where I have had problems verifying a family connection because I don’t have some of the children/sibling’s names or marriage date. With this headstone, there would be no doubt of the connection. I wonder if Rosalie loved Genealogy. What is your “wildest dream” when it comes to Genealogy? I am a professional genealogist, writer, photographer, wife, mother, and grandma. I have two books available on Amazon.com: Your Family History: Doing It Right the First Time and Planning Your Genealogy Research Trip. You can also connect with me via Facebook or Twitter. The last two months have been difficult, to say the least. My oldest son has been diagnosed with an inoperable cancerous tumor. It is a rare cancer and it is growing at an alarming rate. He was moved into hospice yesterday. I have spent many hours in the hospital listening to the doctors and nurses use medical terms that most laypeople may not understand. To be honest, I had to look up definitions of some of the terms they used after they left the room. So, I decided I need to do something to push back what is a dark time. Just for fun let’s look at some “definitions” of some commonly used medical terms. Thank you for indulging me. Sometimes it is better to just laugh instead of cry. 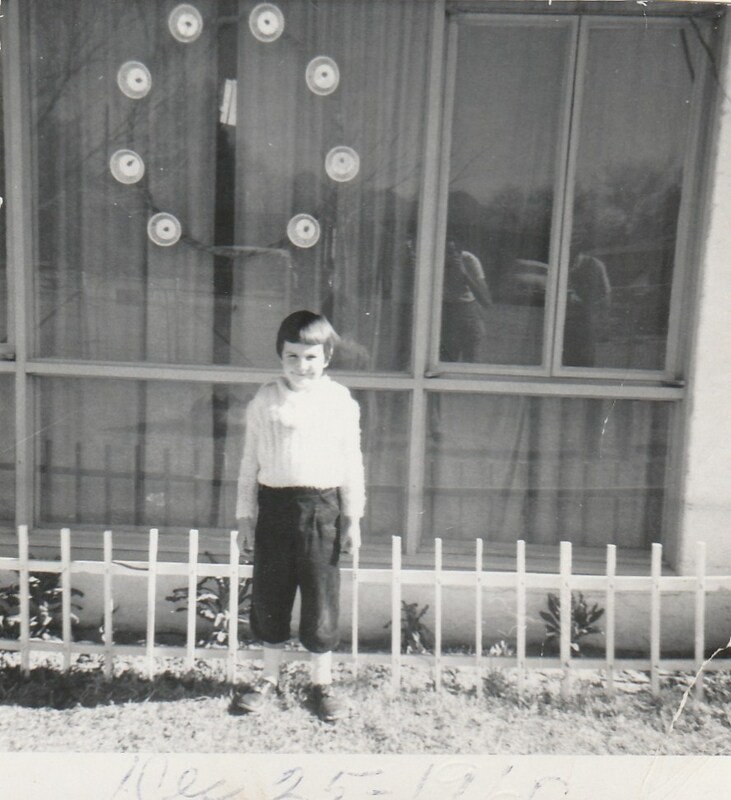 I grew up in a very dysfunctional home. The only stability in that home was my Dad. He was the person who influenced my life the most while growing up. He showed me unconditional love, even through all the craziness of my teen years. I never really appreciated him until after he was gone. In honor of this remarkable man, this blog is to celebrate his life on what would be his 102nd Birthday. Benjamin Douglas “Doug” Hughes was born in Pettis County, Missouri, August 18, 1915. The day he was born his Uncle who, was blind, died. His parents named him after this uncle. He was the 8th of 11 children born to Charley and Virginia Bell (Hayes) Hughes. They lived on a farm in rural Lexington, Missouri, raising all their food, and raising cows and award-winning horses. During the Great Depression of the 1930’s they were fortunate enough to not suffer as others did because they were self-sustaining. They shared what they had with others in the community and I believe this is where my Dad developed his giving spirit! their horses. In 1934-35 my Dad participated in the Civilian Conservation Corp implemented by President Roosevelt. He served in Lake Tahoe, California. Here he learned to work with wood and stone masonry. These skills helped him the rest of his life. After the CCC he worked as a coal miner, worked on the railroads, he was a butcher and for the last 19 years of his life he worked in the construction field. He was married 3 times; the first was when he was 22 years old in 1937. He married Mildred Shockley and they had a son Benjamin Benjamin died at 2 months old from Typhoid. Mildred was placed in a sanitarium and died 3 weeks later from the same thing. My Dad was devastated. He married a second time in 1944 to Mildred McQuillen. She had a daughter name Loretta whom my Dad accepted as his own. They never had children and I don’t know what happened but they divorced sometime before 1948. The third time was my Mother, Emmajane Smith in 1948. My Mother had a son, Gordon and once again my Dad took him as his own. My Dad and Mother had known each other for over 10 years because my Dad’s youngest sister Margaret and my Mother were best friends! My sister Mary Leella was born in 1951 and I was born four years later. We left Missouri when I was 11 months old and moved to Southern Arizona. My parents bought a house on a corner lot in a new subdivision just outside the Tucson City limits. My Dad took pride in the yard. He taught me all I know about plants and landscaping. I loved spending time doing yard work and helping him build things. He laid bricks for planters, he built a large trellis for the patio. He poured the cement for the patio, he even made the lawn furniture and picnic table. I just loved being with him. He was always ready and willing to help any of our neighbors with whatever they needed. Everyone liked and respected him. When I was 12 years old my Mother had a mental breakdown and the next 7 years were pure hell! My Dad refused to have her committed and he took care of her even through our moves back to Missouri for 2 years then out to California for 5 years. He showed me that you don’t give up on people because the situation is not ideal. He showed strength of character and resolve that I have always admired. In the Fall of 1973 my Dad went to the doctor for a cough that wouldn’t go away. After many tests and x-rays we were told he had lung cancer. He had surgery to remove his right lung then endured several rounds of chemo and radiation therapy. He lived for 9 months and he passed away at home on June 24, 1974. He was 58 years old. This was 43 years ago and I still think about him every day. I still strive to be the kind of woman, wife, mother and Grandmother that would make him proud. I know that I am proud to be his daughter! In Honor Of My Dad’s 101st Birthday! My Dad was the person who influenced my life the most while growing up. He showed me unconditional love, even through all the craziness of my teen years. I never really appreciated him until after he was gone. In honor of this remarkable man, this blog is to celebrate his life on what would be his 101st Birthday. was born the same day that his Uncle who, was blind, died. He was name after this uncle. He was the 8th of 11children born to Charley Hughes. They lived on a farm in rural Missouri, raising all their food, cows and award winning horses. During the Great Depression of the 1930’s they were fortunate enough to not suffer as others did because they were basically self-sustaining. They shared what they had with others in the community and I believe this is where my Dad developed his giving spirit! At the age of 15 two events influenced his life. The first was he paid 25 cents and got his first drivers license. He said “In those days there was no driving or written test, as long as you had the quarter you got the license!” He was always proud of the fact that in all his years of driving he had only received 1 ticket. The second event was when his family was living near Lexington Missouri. He along with his brother Leonard and two brother-in-laws Mitchell and Virgil where riding in a wagon going to town. A neighbor came out and an argument broke out between Virgil and the man. This man drew his gun and shot Virgil between the eyes, killing him instantly! This haunted my Dad his whole life. In 1934-35 my Dad participated in the Civilian Conservation Corp implemented by President Roosevelt. He served in Lake Tahoe, California. Here he learned to work with wood and stone masonry. These skills helped him the rest of his life. During his lifetime he worked as a horse trainer, as a farmer, as a coal miner, he worked on the railroads, as a butcher and for the last 19 years of his life he worked in the construction field. He was married 3 times; the first time was when he was 22 years old in 1937. He married Mildred Shockley and they had a son Benjamin. Unfortunately Benjamin died at 2 months old from Typhoid and his mom died 3 weeks later from the same thing. My Dad was devastated. He married a second time in 1944 to Mildred McQuillen. She had a daughter name Loretta whom my Dad accepted as his own. They never had children and I don’t know what happened but they divorced sometime before 1948. The third was my Mother, Emmajane Smith in 1948. My Mother had a son, Gordon and once again my Dad took him as his own. My sister Mary Leella was born in 1951 and I was born in 1955. We left Missouri when I was 11 months old and moved to Southern Arizona. When I was 12 years old my Mother had a mental breakdown and the next 7 years were pure hell! My Dad refused to have her committed and he took care of her even through our moves back to Missouri for 2 years then out to California for 5 years. He showed me that you don’t give up on people because the situation is not ideal. He showed strength of character and resolve that I have always admired. Dad and my oldest son. In the Fall of 1973 my Dad went to the doctor for a cough that wouldn’t go away. After many tests and x-rays we were told he had lung cancer. He had surgery to remove his right lung then endured several rounds of chemo and radiation therapy. He lived for 9 months and he passed away at home on June 24, 1974. He was 58 years old. This was 42 years ago and I still think about him every day. I still strive to be the kind of woman, wife, mother and Grandmother that would make him proud. I know that I am proud to be his daughter! Mary Leella “Le” Hughes was born on February 17, 1951 in Lexington, Missouri. She was the first child of Douglas and Emmajane (Smith) Hughes. Le is my older and only sister and although our relationship was very rocky she was always the closest person to me. Because of this relationship it is very difficult to write about her. Try as I might, I cannot remember one good thing about her. For the first four years of her life she was spoiled by everyone. We have an older brother, Gordon, who was fourteen years older than Le. He overindulged her. When I came along she was jealous, she was no longer the center of everyone’s world. My very first memory was when I was three years old. 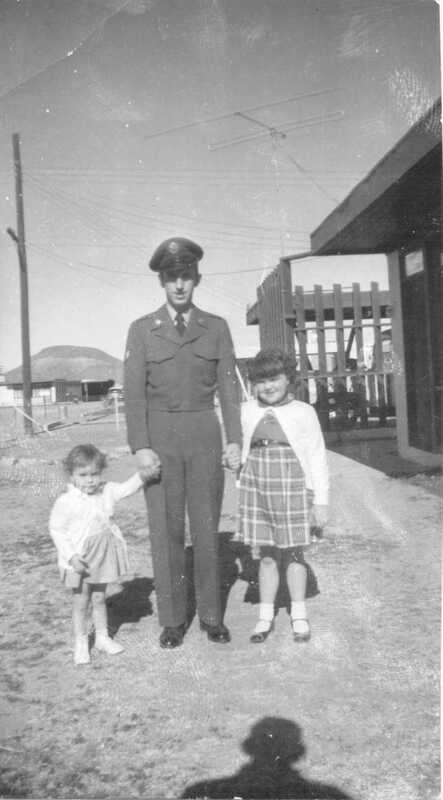 My maternal Uncle and his family had come to Arizona from Missouri for a visit. 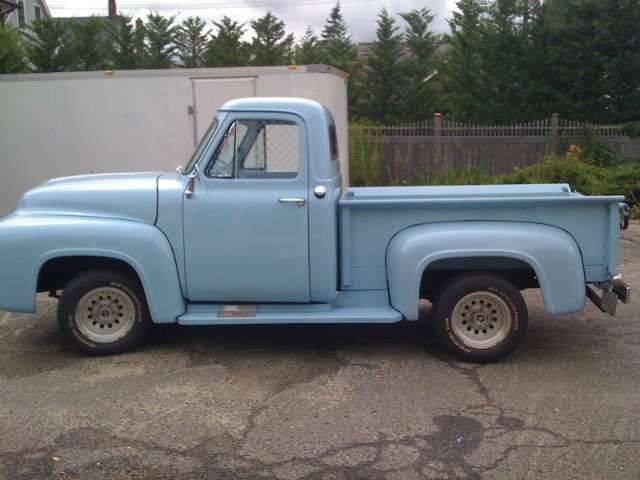 Le, three of my cousins and I were playing in the back of my Dad’s 1953 Ford pickup truck. To be honest, no one liked her because she was extremely mean, so the cousins were avoiding her and were just chasing me around the bed of the truck. Le got mad, picked me up and threw me over the edge of the truck. I landed on a 2×4 board that lined the driveway. My right arm was broken in three places, including having my wrist bone come through my skin! My Dad and Uncle rushed me to the doctor and he set my arm and put on a cast. I was so small that I used a regular sized bandana as a sling. Le never got in trouble. This was the first of many, many incidents that happened not only throughout our childhood but on into adulthood. Le never married or had children and she lived with our Mother until her death in 1999. Le had diabetes and had to have both of her legs amputated just below her knees. 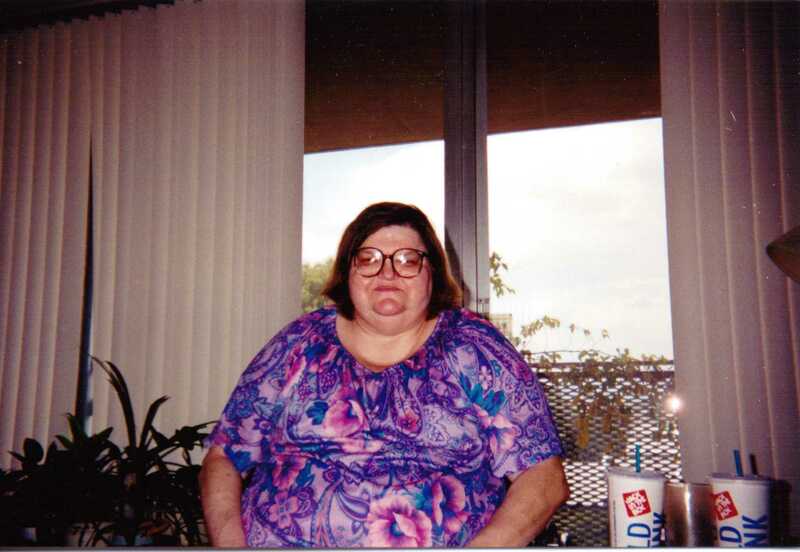 After Mother’s death she had to move into a nursing home. Le died on September 22, 2012 at the age of 61. I struggle with writing about both my sister and my Mother, because of the broken relationships I had with them. Also, so many things happened during my childhood that sounds so unbelievable, I hesitate to write about them. So the question is how much should I write about them since there isn’t much nice to say. How much truth is too much truth? What does the future generations really need to know? So much about writing about my sister brings many things a little “to close to home”. Ramona Salazar was born in the small village of Tubac Arizona on August 23rd 1898. 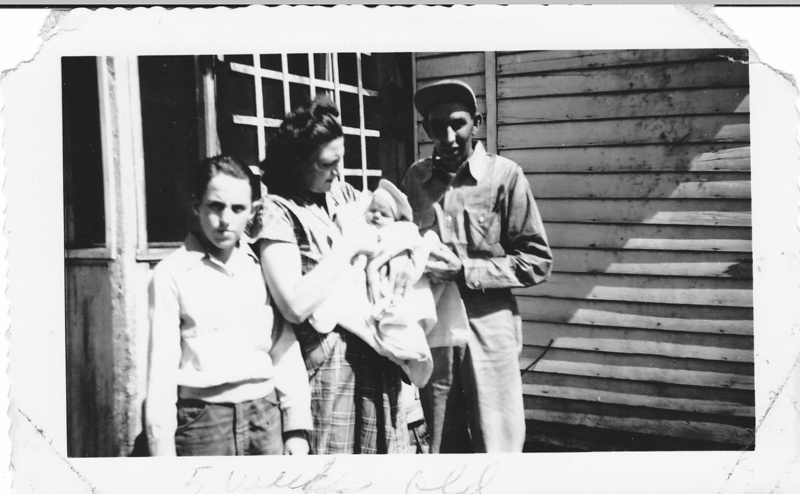 Ramona’s parents were Yaqui Indians from Northern Mexico. 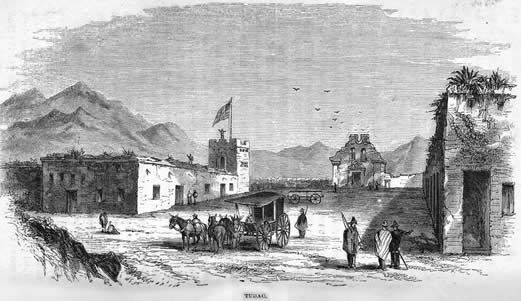 Tubac is situated about 22 miles north of the Arizona-Mexico border but at this time Arizona was still a territory of the United States. Ramona’s father Santiago worked in the silver mines that surrounded the village. Her mother Ramona Tadeo took care of the home and the raising of the children. When Ramona was just 4 years old her mother died so she went to live with her Grandmother. It is said that Ramona enjoyed living and growing up in this area as there were plenty of wide open places with rolling hills covered with desert shrubs and tall Junipers trees that grew by the banks of the Santa Cruz River that flowed past the village. 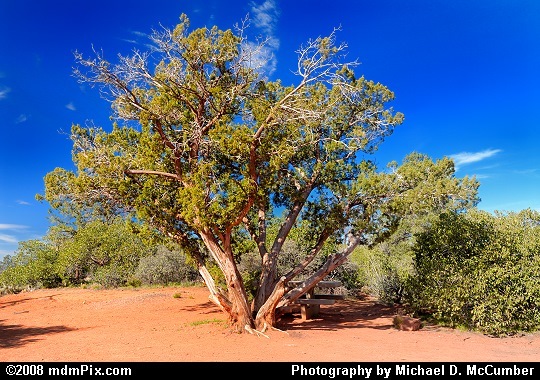 The Coronado National Forest surrounds Tubac on 3 sides with magnificent views of the mountains. In the summer of 1912 at the age of 20, Francisco Acuna came to Tubac to find work. There he met and fell in love with 14 year old Ramona. They decided to get married, but both families were against it. They said Ramona, who had just turned 14 three months earlier, was too young to get married. 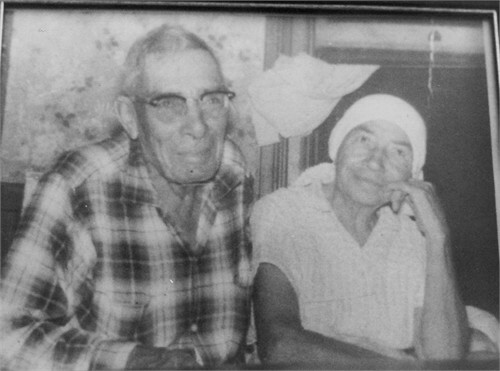 Not listening to their relatives Francisco and Ramona ran away to Mesa, Arizona and got married on November 13, 1912. When the family found out they all agreed that there was no way this marriage would last. The young couple moved back to Tubac and began raising a family. They had 4 boys and 4 girls. One of the girls Ramona Jr, died when she was 1 month old. Francisco took work as a laborer on farms and he and their growing family began to move from farm to farm working and living in the labor camps. After many years Francisco saved enough money to buy a large piece of land with a house on it in Randolph Arizona. He paid a total of $600 for it all. The home never had running water but that did not stop Ramona from having a large garden, growing food for her family to eat. She also grew some of the most beautiful roses in the county. Their small house was always open to any visitor and every morning family and friends would stop by for coffee and breakfast. After a few years Francisco built a larger home on the property. This one also did not have running water; it had dirt floors covered with rugs and a large outdoor stone oven. Ramona was happy and content with her life, regardless of the hardships. Those who knew her said she never lost that childlike wonder of the world and youthful fun. 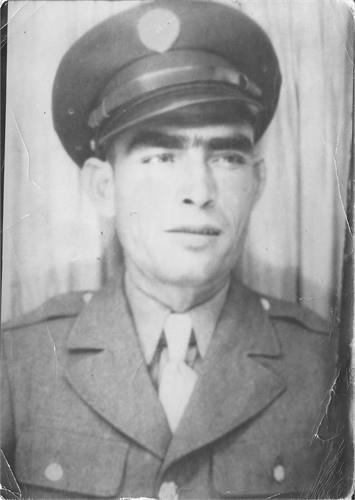 In 1943, Ramona’s oldest son Francisco “Pancho” Acuna was drafted into the army. Ramona was so afraid that her son would not return home to her. Just before he left for Europe Ramona went to her church and made a deal with God. She told him that if He would watch over Pancho that she would cover her hair with a scarf and not take it off until her son returned home safely. Ramona’s hair was a source of pride for her, it was long and thick and it was the envy of others. She then took out a scarf, braided her long hair, pinning it up on top of her head and covered it with the scarf. She stayed true to her vow the entire time her son was gone. She said the scarf was a daily reminder to pray for her son and to believe that God would keep him safe. At the end of the war Pancho did indeed return home safely. By this time Ramona was so grateful that she continued to wear a scarf as a reminder of how God took care of her son, wearing a scarf every day until her death almost 30 years later. On November 13, 1973 Ramona and Francisco’s large family gave them a dinner for their 61st Wedding Anniversary. They attended a church service before the dinner and during the ceremony Francisco fainted. When he came to he said “This will be our last year together.” 3 months later on February 28, 1974 Francisco died. 10 months later on December 25, 1973 Ramona joined her beloved Francisco. They were married for over 61 years, proving all the people who said these two young people would not last as being wrong. 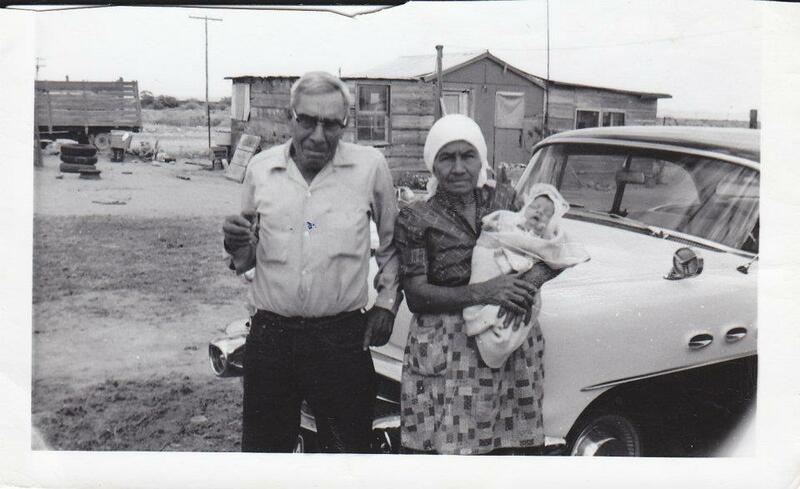 Ramona Salazar Acuna is my husband’s maternal Great Grandmother. I am a professional genealogist, writer, photographer, crafter, reader, wife, mother, and grandma. I have two books available onAmazon.com: Your Family History: Doing It Right the First Time and Planning Your Genealogy Research Trip. You can also connect with me via Facebook or Twitter. I am often envious of those who have wonderful Christmas memories from their childhood. I was raised in a dysfunctional home where my Mother had a serious mental illness and my mean older sister was allowed to rule. I do have some good memories although they are mixed in with some very bad ones. Our family did have some Christmas traditions that I continued to carry on into the lives of my own children. These are the things I like to remember. We moved to Tucson Arizona just before my first Christmas. Living in a desert area you learn to adapt some regular traditions to what is available. Live Christmas trees, although available, were almost impossible to keep alive until Christmas morning. The air was too dry and it was still warm in December so after the first year my Dad went out and bought an aluminum Christmas tree. Yes, I said aluminum! It came with a color wheel which you aimed at the tree and when it was on it would cast the colors of green, red, yellow and blue onto the tree. The tree would then illuminate the room in the various colors. My Mother found the Indian culture of the area fascinating and she especially loved the turquoise jewelry that was made here. When it came time to paint the outside of our home it was white with a turquoise trim. So, she brought those colors into our Christmas decorations. The aluminum tree was decked with turquoise colored ornaments and garland. We had white tinsel on the tree. Even the lighted star at the top of the tree was turquoise. One year she made a large wreath to hang in our oversized front windows. It was an old hula hoop wrapped in white garland. She inserted a string of lights inside the hoop and covered each bulb with a silver aluminum pan that came from the pot pies we ate. Of course, the lights were a turquoise color. My Dad would string white and blue lights along the edge of our flat roof and drape some inside the huge Century plant in the front yard. 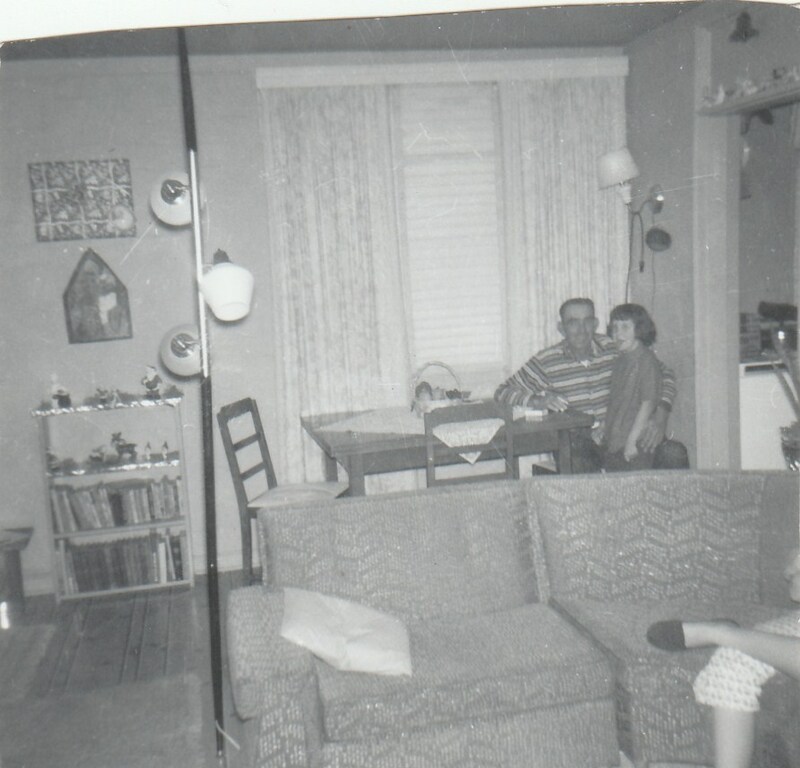 Inside the house, we would remove all the pictures hanging on the walls and wrap them like presents, complete with bows. The large Nativity scene was placed atop the Television and candles were placed everywhere. Every year we would make sugar cookies and decorate them with M&M’s. We would then wrap them in saran wrap and hang them from the tree. Guests could remove one and eat it when they came to visit and on Christmas Eve my sister and I got to have one along with hot chocolate. We were also allowed to open one present on Christmas Eve; of course, it was one that was specifically wrapped for that purpose! I remember the last Christmas that we spent in Arizona when I was almost 12 years old. I got a new bicycle and a one-piece swimsuit. I put on the suit and jumped on my bike and rode around for hours. When we moved to Missouri a few months later some of the kids in my class were asking me questions about AZ. When I told them I was excited to actually have snow for the Holidays they asked about Christmas in Tucson. When I told them about the swimsuit and bike experience they called me a liar. They couldn’t fathom how it could possibly be 79 degrees on Christmas morning! Passing along the traditions that we had while growing up is important to the cohesiveness of the generations. It connects us to the past and helps us to share our reasons for these traditions. Spend some time thinking about how you celebrated the Holidays and then write them down. Future generations will love them!